We are one of the leading manufacturers of Bell Type Anannealing Furneces, which are used in various industries where items are made like wires, malleable casting and ferrous and non-ferrous items. Range of Bell type Anannealing Furneces includes Bell Type Annealing Furnace, Stress Releiving Furnace, Laboratory Muffle Furnaces and Solution and Pusher Type Forging Furnaces. Our company offers a wide range of Bell Type Annealing Furnaces that are used by many industries which made items like wire, malleable casting and ferrous and non-ferrous items. 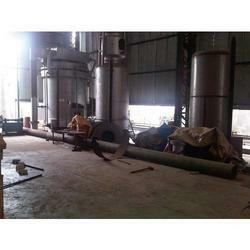 Our company provides furnaces in vacuums that are of both types single and double. These products are heated by oil, electricity and gas. Bell type annealing furnaces also offers a configuration with protective environment. Looking for Bell Furnace ?